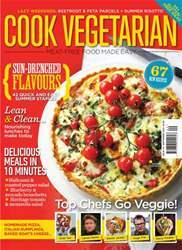 Enjoy 67 new recipes with the latest version of Cook Vegetarian. 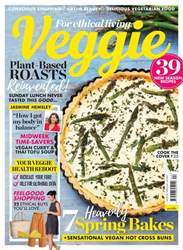 Our favourite chefs cook up their best meat-free dishes – try Rose Elliot's spicy falafel, the Greedy Italians' dumplings, or Thomasina Miers' roasted pepper tart. 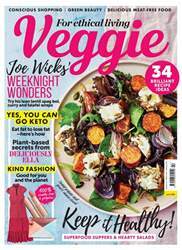 We chat to award-winning blogger Kate Hackworthy who shares her delicious baking recipes, and Sophie Wright serves up 10 meals in 10 minutes. 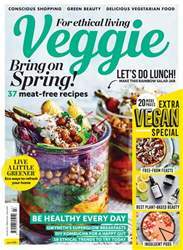 Elsewhere, the ladies behind celebrity food delivery service Hemsley + Hemsley show us how clean eating needn't be boring or complicated and we catch up with Fabulous Baker Brother Tom Herbert, who reveals how he went vegan for Lent. All this, plus easy-cook delicious recipes perfect for everyday eating!